When ITV were brainstorming ideas for the live outside broadcast game “Place on the Plane”, where contestants were given the chance to win a holiday to Florida, they hit upon the idea of using the Reverse Bungee to catapult the winner into the air! We were very excited to be asked to play such a major part of one of our favourite shows! Ourselves and the ITV production team discussed in depth what could be done, how we could adapt the attraction and just how everything would come together to make the game work. 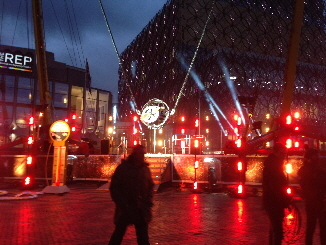 Next, a “test day” was arranged where ITV’s production team, art department, lighting, sound and camera crew could get together with us and the Reverse Bungee itself to ensure that everything we had on paper would work in reality. And it REALLY did!!! It was then time for “lights, camera, action!”. We traveled with the game to different exciting locations... first to Birmingham (Centenary Square), then Cardiff (Roald Dahl Plass), then Portsmouth’s Historic Dockyard and finally to Leeds Bradford Airport, where the final tickets would be won and the plane itself would take-off! 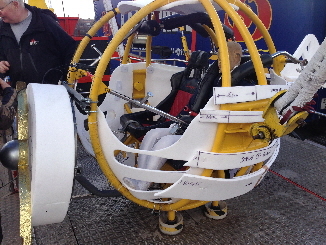 The concept for the game involved a pair of contestants - one person having to fill the plane with fuel by jumping up and down on the giant novelty fuel pump and the other person waiting to be catapulted 55m into the air alongside “Otto” the Saturday Night Takeaway Pilot once the fuel gage read full... all against the clock! 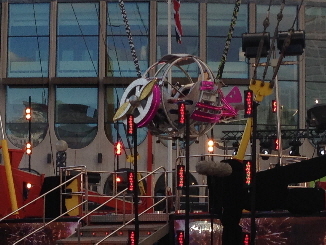 S&D Leisure recently supplied the Reverse Bungee Ball for Ant and Dec’s Saturday Night Takeaway live outside broadcasts. Stanley and his team were professional and adaptable which is essential when working on such a fast turnaround, ever-changing live programme. More importantly, they were incredibly reliable. I thoroughly enjoyed working with them and would recommend them to EVERYONE in the future.